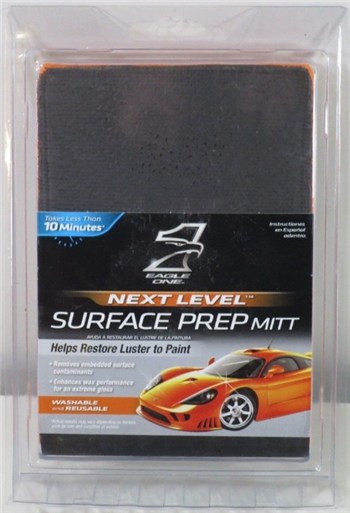 The Next Level Surface Prep Mitt helps restore luster to paint. Removes imbedded surface contaminants and enhances wax performance for an extreme gloss. Washable and reusable.